Premium 100% black tees. 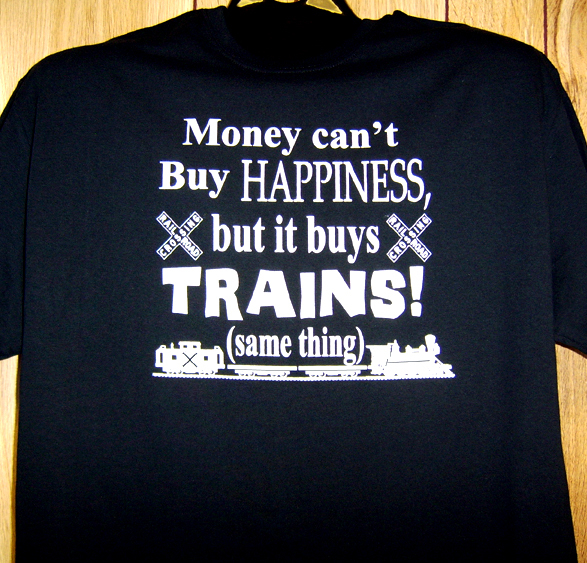 Money can't buy happiness, but it can buy TRAINS.... same thing! Click on above image for zoom.